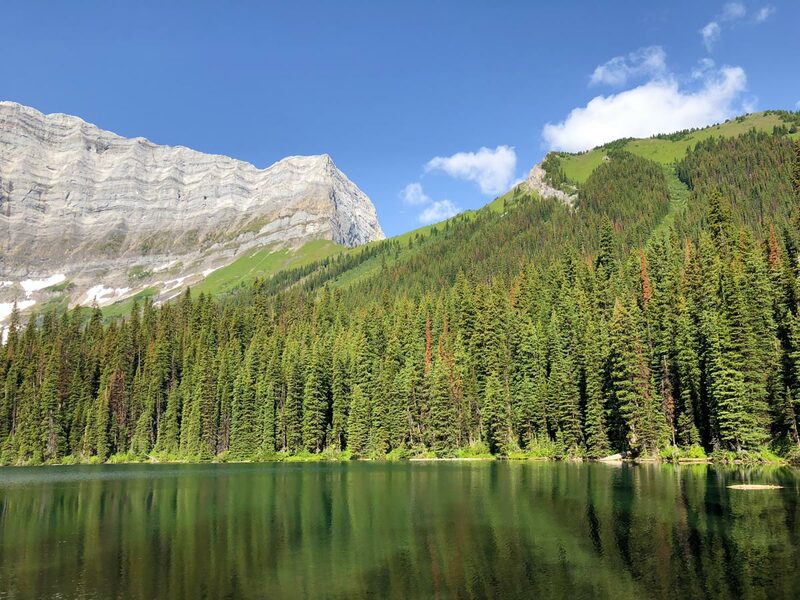 The hike to Rawson Lake is one of the most popular in the Kananaskis Lakes area. 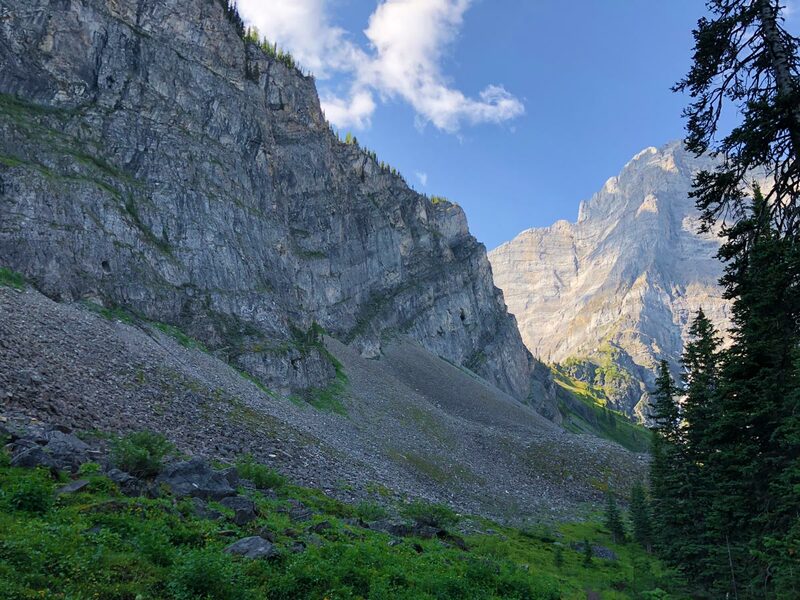 It’s a pleasant path through the forest up to Rawson Lake, but the hike around the side of Rawson Lake is what is truly spectacular. Take Highway 40 South from the Trans-Canada Highway for 63.4km. Turn right at the “Winter Gate” onto highway 742 and follow this 2.2km. Continue straight (passing the turn-off for Smith-Dorrien Trail) and continue for roughly 10.0km, turning left at the “Upper Lake” sign. Follow the road down the hill, and park in the far-left parking lot, known as Upper Kananaskis Lake Parking Lot. 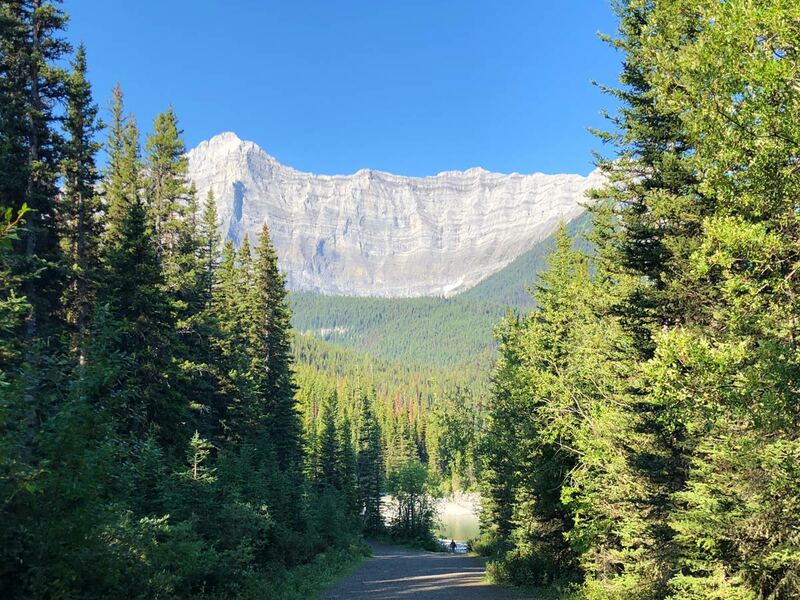 From the Upper Kananaskis Parking lot, walk down to Upper Kananaskis Lake where you find a wide path. Go left on this path and follow it while it follows the lakeshore. 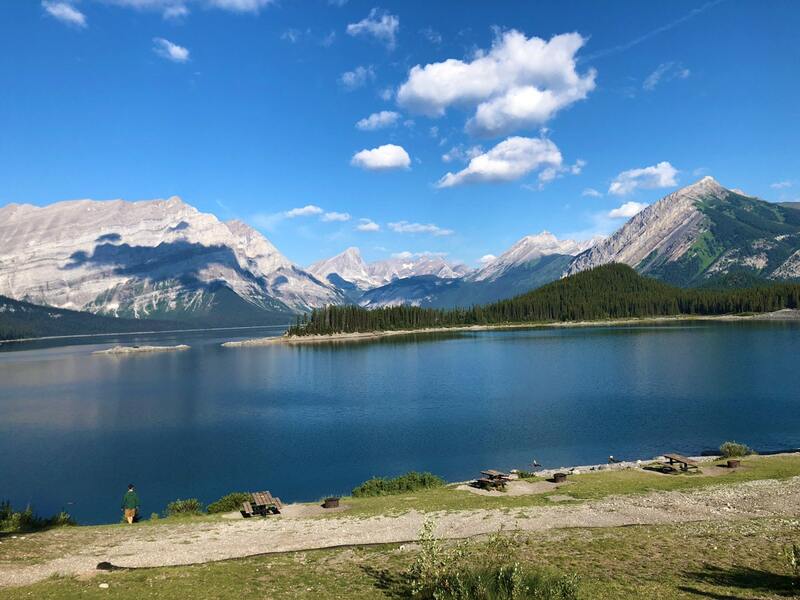 The views along this part of the walk are spectacular, and many tourists come just to look at the stunning Upper Kananaskis Lake. 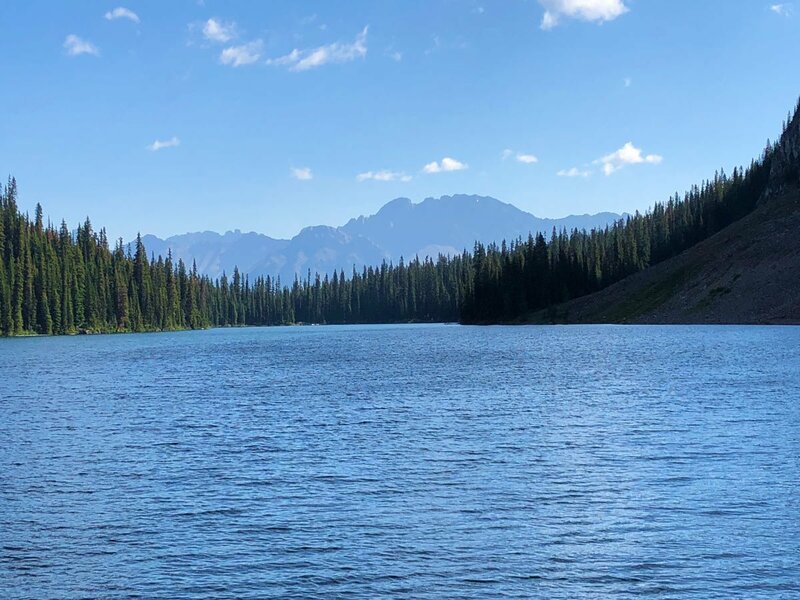 After approximately 20 minutes you cross over Sarrail Creek on a wooden bridge, just afterwards is a signed turn-off to the left for Rawson Lake. The sign lists the distance to Rawson Lake as 2.7km. 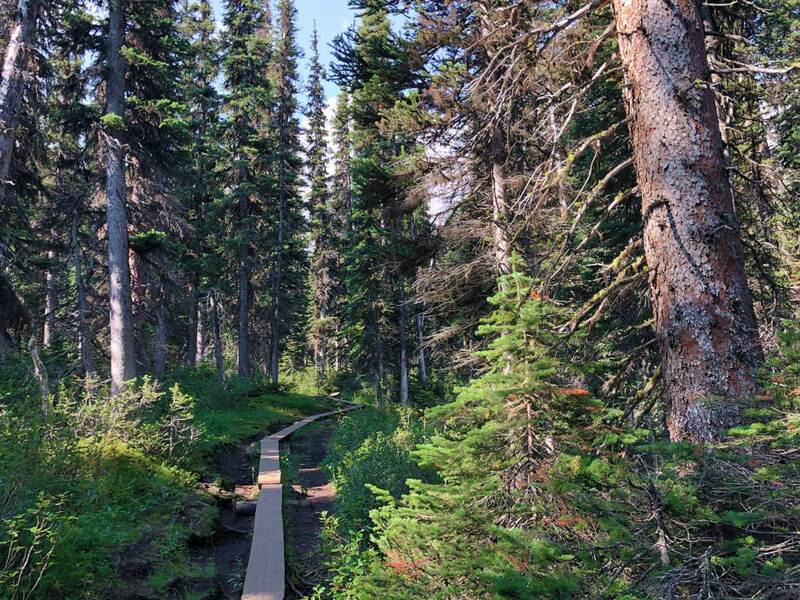 The path to Rawson Lake goes steadily uphill through a subalpine forest. 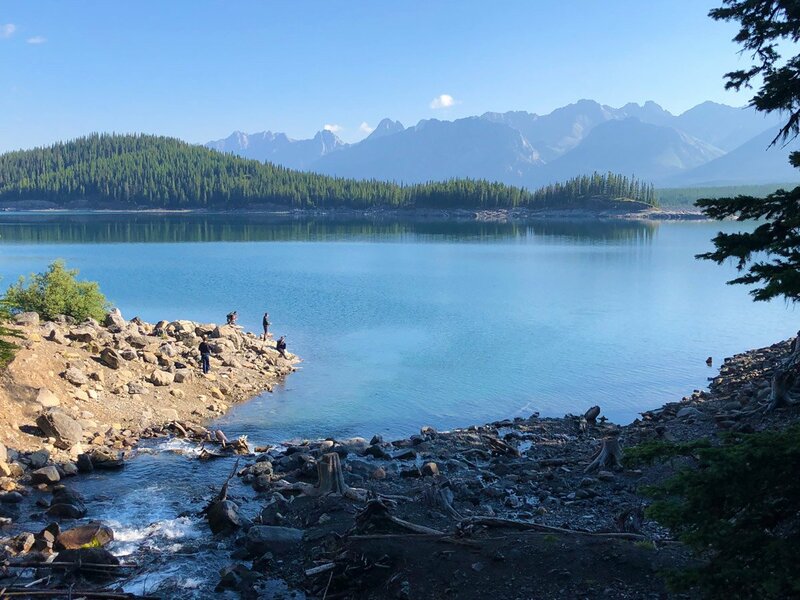 This part of the hike to Rawson Lake is described anywhere from an easy hike to ‘actually quite difficult’. It all depends if you are a seasoned hiker or just starting out. Everybody agrees that hiking up the switchbacks to Rawson Lake is worth it though, so don’t give up! 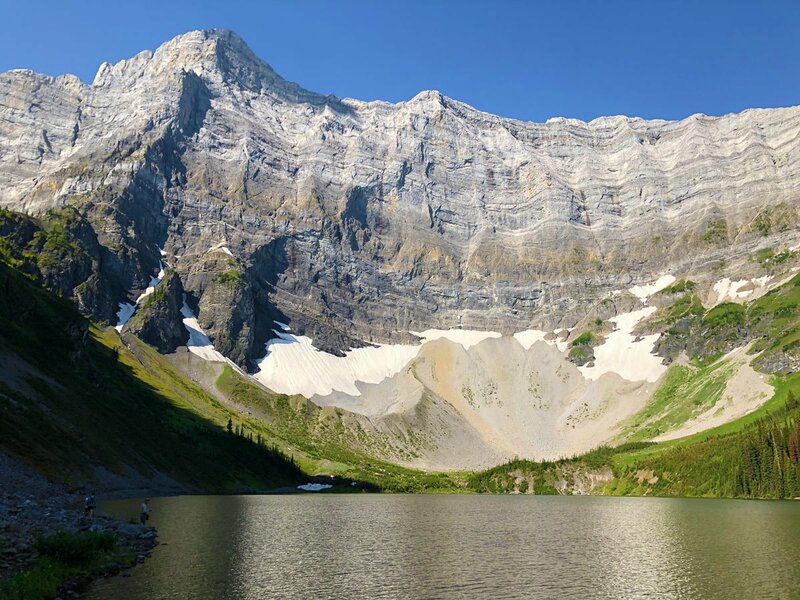 Once at Rawson Lake (it 3.4km and 275m of elevation gain from the car), the path goes to the left, contouring around Rawson Lake. There is an outhouse nearby as you go to your left. 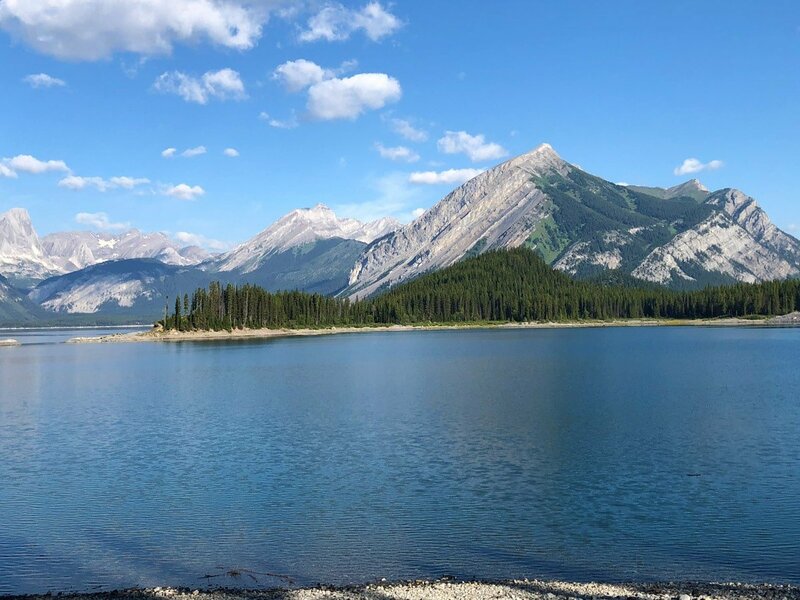 The path around Rawson Lake is fantastic, and there are many places to stop and enjoy a break. 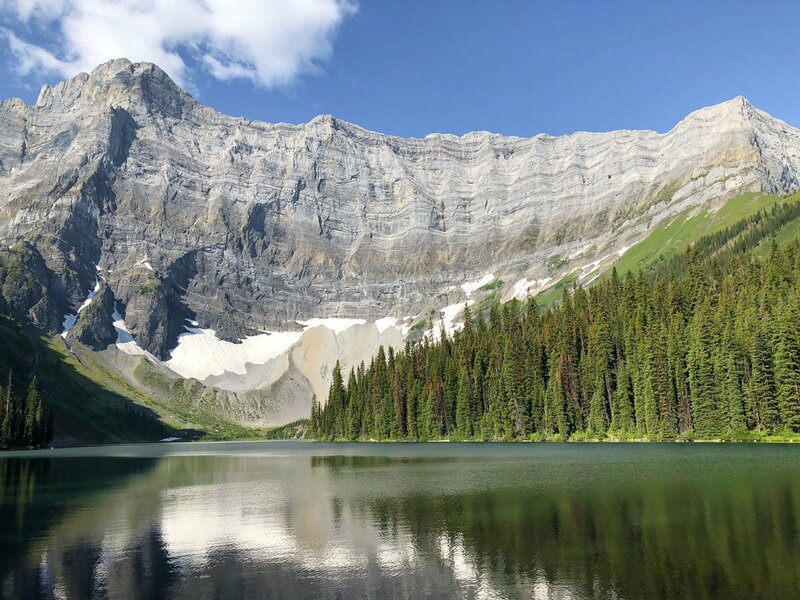 The view across Rawson Lake to Sarrail Ridge is spectacular, as is the view from the far end of Rawson Lake. As you get near the far end of the lake, the path gets rocky and narrower here, so it is hard to hold a child’s hand on this path. We normally turn back before here for our daytrips when there are young children with us. 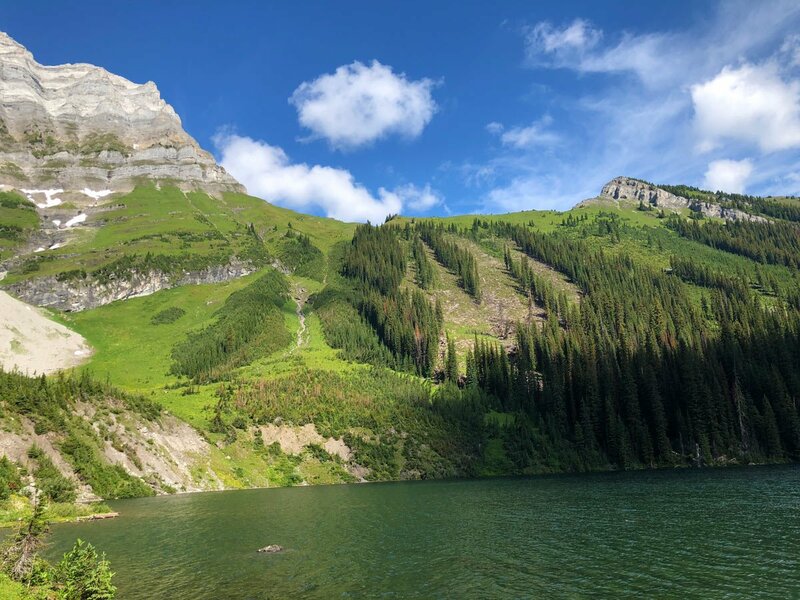 If you’re feeling good, continue to follow the path as it soon swings to the right at the end of Rawson Lake and you can see Sarrail Ridge in front of you. To return to your car, simply retrace your steps on the way down. Get here early, as the hike to Rawson Lake is very popular, and the parking lot fills up early. 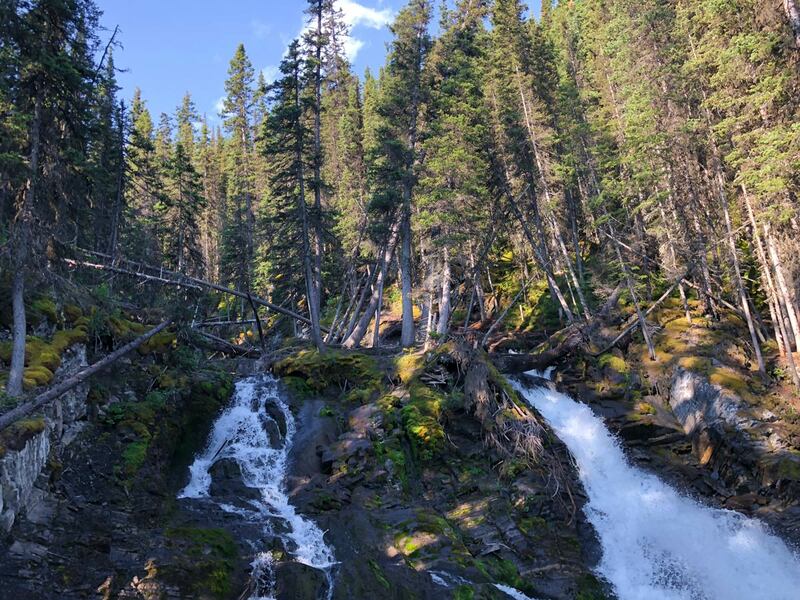 This is prime bear country, so hike in groups and take bear-spray.  You can snowshoe to Rawson Lake in winter, however the route around Rawson Lake and up to Sarrail Ridge is very dangerous due to Avalanche risk and should not be attempted. Be careful and stay off of Rawson Lake in winter, people have fallen through the ice in recent years.